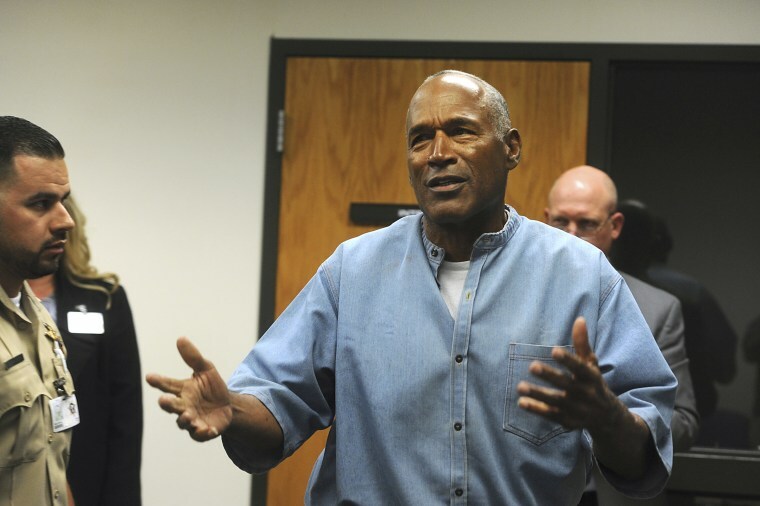 What's Next for O.J. Simpson? Simpson's release is expected after he spent nine years behind bars for his 2008 armed robbery and kidnapping convictions following a confrontation with two sports memorabilia dealers in a Las Vegas hotel room. He was sentenced to up to 33 years behind bars. Simpson won parole in July from a state parole board that set Sunday, Oct. 1, as the date he becomes eligible for parole. Once released, he will be supervised by the state Division of Parole and Probation. Nevada Parole and Probation Capt. Shawn Arruti, who is involved in Simpson's release, did not immediately respond to messages seeking details. Malcolm LaVergne, Simpson's lawyer in Las Vegas, also didn't respond to questions about a release plan.